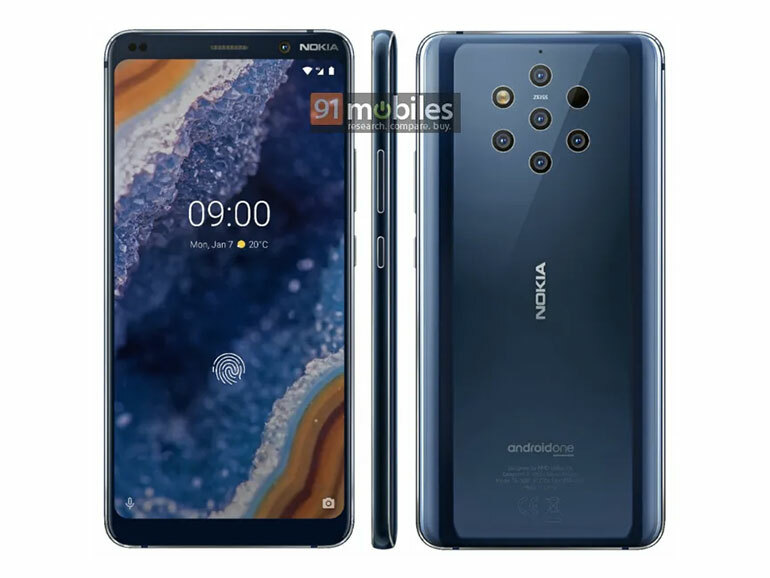 HMD Global is expected to announce the Nokia 9 PureView in the MWC 2019. But before that happens, 91Mobiles recently uncovered official press renders of the phone, giving us a view of relevant design details of the flagship. 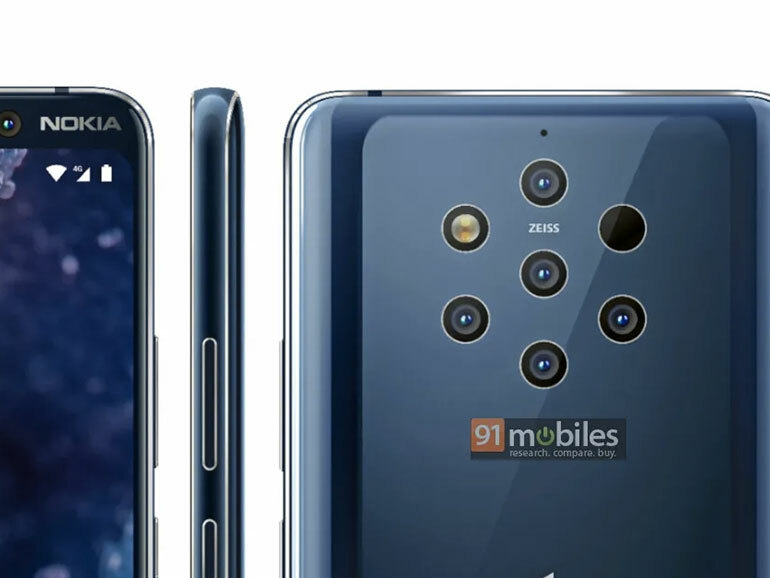 Looking at the renders, you’ll notice that the Nokia 9 PureView lacks a notch. It does, however, have thick upper and lower bezels. The display itself has rounded corners. I prefer a more squared corners but I guess that part is subjective. You’ll notice that it also has an in-display fingerprint scanner, making this an OLED display. HMD Global also managed to sneak a Nokia branding on the upper right corner as well. At the back is where the action is. There are seven cutouts, five of which are cameras with Zeiss branding. The other two are sensors and the LED flash. Hopefully, this develops into what everyone is hoping it to be — a really great camera experience. As for its specifications, the phone is rumored to come with either a Snapdragon 845 or 855. It will also have a 5.99-inch QHD PureDisplay with HDR10 support and 8GB RAM. We’ll find out what’s what come MWC 2019 this February 24, where the Nokia 9 PureView is expected to be announced.